آخر موعد للتسجيل: 5 March 2019 (5:00pm/17:00 UK time). يرجى الملاحظة: All selected grants will be subject to a review of any financial and technical issues related to your application. Award of the grant will be dependent on due diligence checks on your organisation. سوف تحتاج إلى submit a concept note​​​​​​​ containing short description of your project proposal and organisational information to determine eligibility for the call on our على الانترنت​​​​​​​ from 12 February 2019 to 5 March 2019 (5:00pm/17:00 UK time). 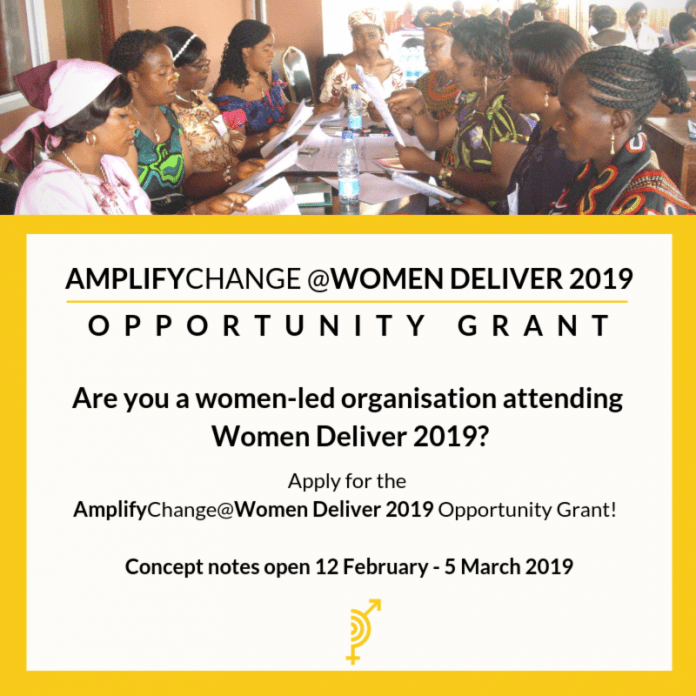 زيارة الموقع الرسمي لل AmplifyChange @ Women Deliver 2019 Opportunity grant.